Good and warm weather are good things but how about good art shows? Yes that adds to the flavour. 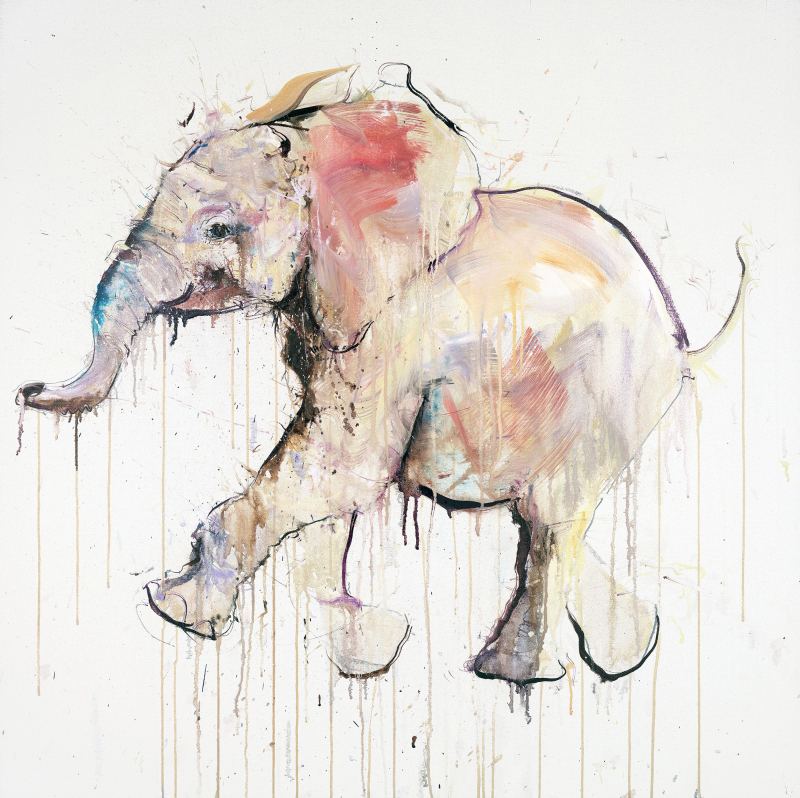 White graduated with a BA (Hons) Fine Art (Painting) at Liverpool John Moores University. He has enjoyed success from the inception of his career with selection for the Northern Graduates exhibition at the Royal College of Art in 1994, then exhibiting his initial animals series. A highlight of this period was exhibiting at Sotheby’s London to celebrate the Blue Cross centenary and international art fairs. White has continued to reflect popular culture and in 2002 he pioneered the ‘Sneaker Art’ movement with the execution of pop art inspired sneaker portraits. This has led to a long term collaborations with Nike and Brand Jordan. > Summer exhibition – now open with works from Chris Levine, Nick Jeffrey, Douglas Kirkland and many more. Original oil paintings and watercolours by Dave White will be available to view in this exhibition. 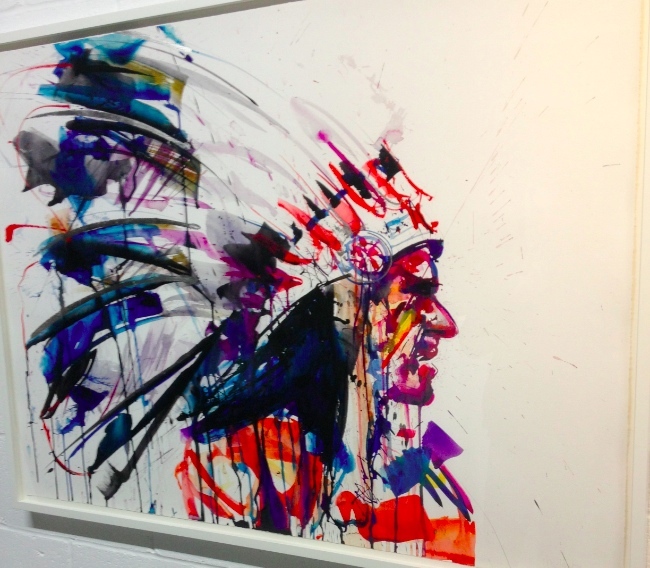 > Lawrence Alkin Gallery will hold their Summer Exhibition ‘Mix’ from 9th July to 5th September featuring an array of original work and editions by names such as Damien Hirst, Ben Eine, Warhol, Blek le rat and Banksy. > Hang-Up Gallery are proud to present Dog Days : this season’s most engaging group exhibition showcasing a unique blend of freshly created artworks from 16 of Hang-Up’s leading body of contemporary and urban artists. 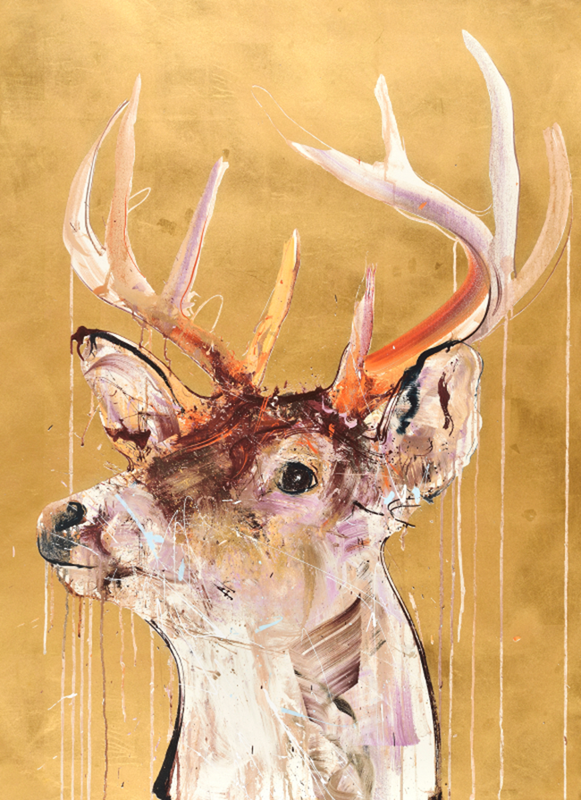 State of the art limited edition prints and original releases in various mediums have been created exclusively for the highly anticipated show that will open 24 July 2015.Dave White will unveil a rare Gold Leaf Stag Edition (of 10), a 24 colour silkscreen with a 24 carat gold leaf background.